Maureen Megowan is hands down the most dedicated agent I have had the pleasure of working with. From our first 3 hour introductory drive getting to know the different areas and clarifying our needs as a family, to the professional business woman clinching the right house on its first day on the market. She held our hand through several inspections, even meeting with people when we were not available. If that was not enough, she drove out of PV to give advice on our then current house that would need to be sold fast. Even after closing, Maureen would call and check in on us, delivering food and milk while we were buried in boxes. In the words of my 4 year old, Maureen is so, so, sooo nice! If you are looking for someone to navigate real estate anywhere in Palos Verdes, look no further. Maureen and her husband Bruce know the ins and outs of the peninsula - both buying and selling real estate. I can honestly say that we are living in our dream house in Palos Verdes Estates because of Maureen. Whatever could go wrong did go wrong. We had another bid ahead of us, we had a challenging time in escrow, but Maureen's know-how and cool level head kept us on track and we could not be happier in our beautiful home. If that was not enough, Maureen has a Rolodex of contacts, which include general contractors, roofers, landscape architects, and painters (as an example) so if you want anything done to your house, she knows who to call. And they will usually give you a "Maureen discount", since she is so well known and respected on the hill. We highly recommend Maureen for all of your real estate needs in Palos Verdes. You will be very happy with your decision. Maureen and Bruce were absolutely fantastic during very difficult buying and selling transactions. We ran into highly unusual difficulties as they never wavered in their dedication to get my project finished. Even with deal-breaking circumstances, they steadfastly remained focused on finding a solution and completing the sale. I never felt alone during this trying time. They are highly knowledgeable and have extensive contacts to explore any problems that might come up during the escrow. Taking Maureen's decorating and pricing advice resulted in multiple seriously above asking offers in just a few days. I will not hesitate to recommend Maureen to anybody who wants a professional realtor for their selling or buying experience. "Maureen did an excellent job selling my mom's home. Right from the start she offered ideas for staging the rooms and improving the lighting. She was very familiar with other homes in the area so she could suggest a fair selling price. Once our home was listed Maureen really was terrific. She had many open houses for us, dealt with all the inspections, and most of all returned every one of my panicked phone calls very quickly. Maureen is a wonderful realtor and a good friend." Maureen did a great job in selling our family home, The Vanderlip Cottage. Her knowledge of the Portuguese Bend area and its history made her the easy choice in choosing a real estate agent. Maureen went well above and beyond what one would expect of a Realtor, and her creative marketing of The Cottage received accolades from the brokerage community. I strongly recommend Maureen to anyone looking for a professional, dedicated and friendly Real Estate agent to sell your home. Maureen is an exceptionally dedicated and thorough real estate agent. As a first time buyer she guided me and my husband through every step of the home-buying process and met us at countless appointments until we found the place just right for our growing family. Her patience and support throughout the process was invaluable. Maureen also helped us keep an open mind when reviewing different properties by sharing her design expertise on how a home could be tweaked to match our personal style. She has a deep roster of painters, handymen, etc. that she put us in contact with after we moved in which helped us seamlessly transition into our new home. Maureen was a great asset in both the buying and selling process of our homes. We were able to compete with a cash buyer and a bidding war because of Maureen's impeccable reputation and negotiation skills. She gave us great advise that eventually made the seller pick us over other buyers. My family now enjoys the house we live in tremendously. We also used Maureen in selling our home and was able to get offers within the first open house. She showed our house very well and even gave us design help in our staging. She knew how to deal with some hiccups while in escrow, she is great on communicating to resolve any issues. We are very confident in recommending Maureen and her team to anyone looking to purchase and sell their home. Thank you Maureen! I contacted Maureen Megowan to list my parents' home in Rolling Hills Estates. I personally live out of state and my parents are elderly, so the idea of selling a home in a declining real estate market was overwhelming to them. Maureen immediately took control of the situation. Her first step was to evaluate the home and come up with an aggressive marketing plan which involved a thorough decluttering of the house, repair, renovation and staging. Maureen works with a team of professionals who assisted her in totally transforming my parents' home in a relatively short time at reasonable costs. This was a huge help to us, as we were able to leave everything in her hands. In fact, my parents were able to leave their home and stay with me in Texas while Maureen arranged everything. One example of her attention to detail is the numerous trips she made to Lowes to pick out a perfect dining room light fixture. Maureen went to Lowes at least three separate times just to get the right item. This is one of the many items that Maureen personally selected and installed for my parents to make their house look updated and fresh. Not only did she coordinate all the various tradespeople involved, she worked side by side with the stager (and even brought some of own personal furniture) to make the house look and feel absolutely perfect. I cannot imagine any other real estate professional would offer this level of service. I know for a fact that the other agents I interviewed do not. Maureen's marketing includes professional photography, an online virtual tour and exposure in various forms of print and online media. In my opinion, her website presence is unparalleled among realtors in the South Bay. As an out of state client myself, I know how important the internet is in marketing properties. When you type Palos Verdes real estate in any online search engine, Maureen's name is near the top of the list. Because her website is so informative, I'm sure that many potential buyers don't venture elsewhere. In the case of my parents house, Maureen's proactive approach to marketing paid off immediately, and we received four offers on our house in the first week! Maureen has been a great advocate every step of the way, and I cannot recommend a more hard-working and professional realtor to sell your home. I was very fortunate to work with Maureen Megowan to purchase a home. She is extremely knowledgeable and easy to work with, and committed to excellent service. She was always available by text, phone, and email, and responded to my interest in open houses on short notice. She also kept me updated on houses of potential interest and accompanied me to these as well as the open houses. Maureen was untiring in her zeal to find me a home! When we found my dream house, it turned out to be a bidding war, and the advice Maureen gave me allowed me to consider all options--and was ready to pull out all the stops. She also took time to work with me to write an excellent letter to the sellers that distinguished me from the other potential buyers. Despite the bidding war that ensued, I was selected while offering less than the highest bidder. During escrow, I had many questions, and she was unrelenting in posing each concern to the seller's agent to make sure I was entirely satisfied. Maureen's relationships with other realtors and brokers, her persistence, her savvy understanding of the market and personalities gave me the edge I needed. She is extremely practical and gave me advice on so many details that saved me a lot of worry--like making sure that insurance was included in the escrow instructions. She also connected me with helpful and honest people to help with a refinance and insurance, and now that I purchased a home, she has terrific reliable folks to help with all matter of repairs---while encouraging me to get our own bids with others. Maureen is an unbelievable agent. All questions I asked were answered with great knowledge & in the speed of light! Pressure is no problem - she worked under a lot of duress, as my home had sold & I had very little time to find a new place. Then we had a 7 day escrow. Most agents would not even try to do that. Especially since the sellers were in no rush & she worked magic in getting them to respond & keep the pace going. In short, Maureen is a 5 star dynamo & her knowledge can't be beat. I never understood how complex the job of being a realtor could be until I worked with Maureen Megowan. She worked tirelessly to assist me before, during and after the sale of my home and the purchase of my new home. It took a month to prepare my home to be put on the market. She orchestrated the remodeling and staging of my home so that it showed like a jewel. Closing the sale required a delicate dance. She was the force which made it all happen. The purchase of my new home required creative financing. She helped to guide me along that path. I cannot thank Maureen enough for the endless hours she spent helping me and my family. I highly refer Maureen Megowan and would absolutely use her again. Maureen Megowan was a very helpful and knowledgeable realtor. This was my first time buying a home and needed a lot of help understanding the process. Maureen was right there by my side to help me with all my question and to walk me though the entire process. Maureen was always on top of everything that needed to be completed quickly. I would recommend Maureen to any one that is looking to buy or sell a property. Having new grandchildren in southern California, we decided to move from Washington DC to the Palos Verdes Peninsula. We first met Maureen in January, but were not yet ready to purchase a home until we sold our DC house. Maureen spent months helping to educate us on the various communities on the Peninsula and the housing market there. With Maureen’s extensive knowledge, we were able to narrow our search to a few communities that best fit our needs. Maureen was well connected and was able to get us in homes as they first came on the market, or even before they were listed. We found Maureen to be very knowledgeable and she was a pleasure to spend the days of searching with. She made herself available at the drop of a hat. Thanks to Maureen, we are now happy home owners in Rolling Hills Estates. We started our search for a home in Los Angeles, while we were living in Connecticut and by sheer chance, found Maureen through her website. We can still not believe our luck in finding such a wonderful and knowledgeable Real Estate Agent! Maureen knows Palos Verdes and the South Bay like the palm of her hand. She is very professional, yet very personable and also has the ability to size up her clients and show them what they are looking for. She helped us to find our lovely home in Rancho Palos Verdes in just one day! The seller of our home received multiple offers at the time, and Maureen's excellent negotiation skills gave us the competitive edge to ensure that the seller accepted our offer. We did some remodeling to our home and Maureen recommended some contractors, who all did an excellent job. Maureen is a gem of a Real Estate Agent and we can not recommend her highly enough! It was great to work with Maureen. Her wisdom, competence and professionalism made all the difference in selling our condo. We highly recommend Maureen for anyone selling a home or condo in Palos Verdes. She is very knowledgeable about the real estate market there and will help you get the right price for your property and get it done. Thank you Maureen for all your hard work and your friendship as well. We located Maureen through the internet before we moved to California and found the website, her emails, phone calls, and listings so helpful. She helped our transition moving across country and eased my fears about finding the perfect house as quickly as possible. From the first day we met, Maureen was so hospitable and really went the extra mile to show us every property and community possible in our price range. What really stands out about Maureen is how she really took us under her wing, paid so much attention to us, really made us feel comfortable and like we had a great friend in a state so far away from our friends and family. Throughout the whole process, Maureen was diligent, thorough, and really helped us through the process of finding the right home - through all of the ups and downs. Overall, she made the transition so easy and helped us settle into the perfect home. Maureen was always there to answer our questions, push for more repairs and ensure that everything was done right and running smoothly. She has kept in contact with us since we have moved in and has been wonderful with checking in, referring stores and contractors to help us create the perfect home. I highly recommend Maureen to anyone searching for real estate, especially if you are new to the area and really want someone who knows what is out there. She is an excellent Realtor and has become a great friend. Maureen was wonderful to work with and she helped us purchase our first home. She walked us through every step of the home buying process and explained everything very thoroughly. She is extremely knowledgable and she listened to us and offered great insight and advice during our search. Then when we were in escrow she fought hard to see that all of our needs were met and went above and beyond her call of duty.We highly recommend Maureen as a realtor, she made our home buying process as smooth and enjoyable as possible. Unlike a lot of agents who are simply "listing agents" and let someone else do all the work, Maureen was personally involved in every aspect of selling my property in Palos Verdes Estates. She provided valuable advice regarding the appearance and presentation of the property all the way through to the closing of escrow. She has an intimate and thorough knowledge of her "market area" and anyone who is selling (or buying) in the South Bay would be wise to make her part of their team. Maureen is a very dedicated realtor who I would recommend to anyone trying to buy or sell a home.She worked very, very hard for us and always kept a positive attitude throughout the difficult process of trying to sell a very old home with lots of problems. She went above and beyond what I would expect from a realtor in a tireless and tenacious fashion.I don't think I would ever get as much personal attention from another realtor and now consider Maureen a good friend. We were fortunate to have contracted with Maureen Megowan as our real estate agent to purchase a townhome in Redondo Beach. We had many obstacles to overcome, and Maureen was on top of the transaction from start to finish. Then came the sale of our condo after we moved from Rolling Hills Estates, which also came with its own hurdles. With her experience and advice throughout the transaction, we had a successful close and a happy result. Thanks, Maureen! When she says take a seat, she means it! Above and beyond the call of duty, Maureen will be there for every inspection, walk through and detail, no matter how small. Whatever is needed, even providing artwork or accent pieces from her own collection, she will go the extra mile to make your home look its best and get it sold. Pricing the property at the highest realistically potential price proved optimal getting it sold quickly. As overseas buyers with no prior experience of the US property market, Maureen was instrumental in navigating us through an unfamiliar process. She went beyond expectations to get the deal through. Maureen turned a very stressful cross country house hunt into a great experience. Her knowledge spans not only real estate but also the shopping, restaurants, schools, and culture of the area. She assisted us in beginning our life in CA not just in buying our home. She is a fabulous realtor. Maureen is an excellent realtor. We discussed our situation with her and gave her the parameters of what we were trying to accomplish with the purchase of a new home and she truly "did the rest" in a very professional manner. Her ability to understand and process our needs with respect to the current reality of the local real estate market in the area we had defined, lead us to relevant properties quickly. She knows all aspects of the real estate business, whether it be a short sale, foreclosure, rental, renter, etc. and gave invaluable information on how to deal with each situation. Maureen's follow-up after you enter escrow is second to none. She guided us through the entire process and interfaced with the escrow company on our behalf, as well, when needed. She also guided us through the appraisal and inspection process, and put us in touch with local service companies as required. Her after-sale documentation to her clients is also outstanding. She truly is a "full service" real estate agent. Getting a good price for a family home is not always easy, but we did. With Maureen's help and hard work, we were able to get our home of more than 35 years prepped for sale and looking its best within an amazingly short time. She's not kidding when she says sit back and enjoy letting her do the work... and that was really important to us because of our being out of the area. Her advertising reached all the right parties and we had well-attended open house events from the start. The house was in escrow in 36 days and we had back-up offers in the wings. Maureen facilitated and communicated so that we knew exactly where we were throughout the whole process, step-by-step. But perhaps the single most valuable thing about dealing with Maureen is her personal integrity. Especially for us, being in town only occasionally, Maureen's honesty gave us peace of mind. Maureen went above and beyond in selling my mother's house. As I live out of state, Maureen supervised all the repairs and improvements to the house. This was an extremely difficult situation as my mother had lived in the house for 40 years and now lived out of state. Many, many repairs and improvements were required and you supervised them for us with great skill and efficiency. This is something exceptional as most realtors would not even attempt to assist us in the manner you did. The house turned out beautiful! When it came to pricing the house, you were able to exceed my wildest expectations. We were extremely pleased to get 3 offers all exceeding our asking price in one day! When the first buyer became too difficult to work with, you had a backup offer within a matter of hours. The second offer came through at full price and closed within 30 days without the smallest of problems. When I needed basis information, you did tremendous research. My father passed away in 1987 and my mother had no idea of what her step up in basis was. You were able to research comparable prices and sent me the documentation. This was extremely helpful. I could not have asked for more.I recommend you highly to any prospective sellers. You can work wonders. Thank you for your expertise, your ability to do whatever it took to sell the house and your amazing attitude. As a non-local buyer, I needed someone with deep local knowledge and connections, who could help get things done on my behalf, and whom I could count on 100%. Maureen raised her family on the Palos Verdes Peninsula and knows the area like the back of her hand; she has been incredibly generous with her time and expertise, guiding me throughout a long process of searching, negotiating, closing, and even after the closing; and she has been totally trustworthy, looking out for my interests even ahead of her own. After my purchase, when I decided to rent my place out, Maureen took charge of cleaning, repairs, staging, and marketing, and very quickly she found an excellent tenant. All of this was taken care of with me out of town and without my having to do a thing. Maureen introduced us to an area we were only starting to get to know. No one knows PV better than Maureen. She's a pleasure to work with. I would a absolutely recommend her. Maureen Megowan was a delight to work with this past year. I am a tough rater, so the fact that I am giving her such wonderful accolades says quite a lot in itself!!! Not only is she dependable and reliable, but she is also friendly and professional and is definitely knowledgeable about her field. What she did not know (This was rare. ), she researched thoroughly and returned with an in depth knowledge of the subject area. Maureen goes beyond what is expected of a realtor. She is quite assertive, and this is a treasured quality in a realtor when negotiating price and conditions. Ms. Megowan happily undertakes a task with accuracy and efficiency which is critical in such an area as realty where the availability of homes come and go fast in this tough sellers market. Maureen is the model of what most realtors strive to be. If you are unfamiliar with the process of whatever you are doing, Maureen will patiently guide you through the process to ensure everything is done properly. Furthermore, she has aligned herself with all the professionals you may need to repair whatever needs to be fixed. I know we were overwhelmed with what needed to be repaired in the new home we recently purchased. Maureen took our hands and even guided us through this process. She provided us with contacts and their numbers so we could quickly get the repairs started once escrow closed knowing I was ill and had a young child that needed to be settled in quickly. She is definitely an attribute to women as a whole, as well as to the field of realty. She has not only become my realtor for life, but she has also become a friend for life as well. I definitely recommend her whether you want to buy, sell, rent, or lease a home. She will definitely get the job done. Maureen was very detail oriented and helped us understand the short sale process. She was so knowledgeable that we felt we could depend on her and trust her during this long process. Maureen is an excellent realtor who puts your needs first. Maureen was very helpful in explaining the sales process. I was a first time home buyer and I had a lot of questions. Maureen answered all my questions in a thorough manner and was very supportive and kind. I trusted that she was looking out for my best interest. I would definitely use her again if I decided to sell or buy another home. I highly recommend her. 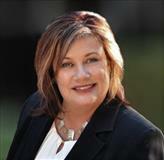 She represents ReMax well in her professionalism, knowledge, expertise and customer service. Many thanks to her! Maureen did an excellent job in marketing our property near the Long Point Resort in Rancho Palos Verdes. It was a single family detached house but the property had some complexities to it, including an existing lease tenant as well as a homeowners association. Prior to placing the property on the market, Maureen went far above the normal responsibilities of a listing broker, by determining what repairs or enhancements needed to be made to make the property as marketable as possible, and then working with numerous contractors to complete the repairs, all while working with the existing tenant and keeping them happy during the process. Maureen performed a comparative market analysis, and due to the strength of the market Maureen recommended that we establish an asking price slightly below what we believed to be the property's market price in order to solicit multiple offers on the property. This strategy resulted in a sales price approx. $100,000 over the original asking price. Maureen prepared a comparative presentation of the competing offers that analyzed not only the creditworthiness of the proposed buyers, but also the probability of the buyers actually closing the escrow. .During the marketing process, Maureen prepared effective marketing materials, including flyers and advertisements, and held several open houses. Maureen seemed to be very effective in interacting with both potential buyers as well as their cooperating brokers. During escrow, Maureen was extremely organized and made the escrow process flow smoothly. She was very effective in working with the buyers lender, as well as in obtaining termite reports (and completing subsequent remedial work required), etc. I would be very happy to work with Maureen again, and would highly recommend her services! Discovering your website was a gold mine. Maureen, you are an incredibly fun business woman who has it all in one finely tuned package of professionalism wrapped with hard work and the ribbon of commitment. That ribbon keeps it all together. Your commitment to your clients and your vow of ethics are of the highest standard. Maureen. that is what counts and sets you apart. If you need an agent to work hard to get your home ready for sale then there is no other agent on the Hill that will work as hard and as creatively as Maureen. If you have an old home or a newer home, but need it to look right for the community Maureen is the best. She has a network of trades, labor, stagers, and suppliers to make everything happen fast and at the most reasonable cost.She 100% managed the transformation of an old dark home into a light clean, extremely presentable home, and got it sold in a fraction of the time expected. She provides honest advise in getting what's needed done and the home sold! Just wanted to let you know that this was an incredible escrow AND you are so great, just the ultimate professional...love the way you pay attention to every detail. It was just a joy. I don't usually recommend a person/service unless it is spectacular and this woman certainly is. Her name is Maureen Megowan, she's based out of Palos Verdes, but also covers the west side. As a newly single mom, it's been a daunting task shopping for our new home. She spent the day showing me around and was so very informative and thorough. She can find you either a property to purchase or to rent if needed. Its funny how great things can happen by accident. I really got to know Maureen when she was representing the buyer for the property next door to my home, and we started to chat when she was at the property. Maureen is really an exceptional agent. I have never met anyone like her. She gives 110% to all her clients. She is dedicated, honest, patient, smart, and makes her clients feel like family. I'm telling you, even your own mother would not give you this much attention if she was your real estate agent, and although that sounds like a joke, it isn't! No one will ever give you the service Maureen will. Maureen did a fabulous job by representing my husband and I in buying our first investment property in Rolling Hills Estates. I don't think we would have ended up with property if Maureen had not been so together and quick to act. During the transaction she helped us figure out financing, helped us to establish a fair rental value, and maintained her poise and cool when it got a little scary at the end. We got a great tenant within a couple of weeks after closing and we could not be happier or more satisfied with our purchase. I have highly recommended Maureen to my friends, family, and even acquaintances, and I love the highly profuse thanks I get when they meet her and realize what a wonderful agent and person she is. Maureen definitely has all my business for life! Working with Maureen brought much more value added than just working with a real estate professional. She also helped me with interior design, sample selection referral to construction professionals and subcontractors to get things done fast. She even found a buyer before the property was finished and listed. She' s a terrific lady and the go to person to get things done. Maureen did an excellent job of selling my home. A neighbor of mine had recommended Maureen to me after my property had been on the market for several months with absolutely no offers at all. I had become extremely frustrated by the fact of attention that my prior real estate agent was giving my listing, and I contacted Maureen to see if she could help. Once I had given the listing to her, Maureen jumped in with both feet, preparing excellent marketing materials such as flyers and advertisements in the local newspapers. She also immediately scheduled both broker and public open houses, and within a short period of time had attracted significant interest from a number of agents until we received a satisfactory offer after a relatively short period of time, especially considering how long our other agent had been marketing our home. During this entire time, Maureen was extremely responsive to me and I was impressed by her dedication to get my home sold so that my husband and I could move to Florida. During the escrow period, Maureen continued to keep me informed as to the progress of the closing, and worked diligently to get the deal closed. Maureen was a godsend! I highly recommend Maureen for anyone considering selling their home!! When I began my initial search for a real estate agent I began that search on the internet. The attention to detail in Maureen's website instilled a great deal of confidence in me and I knew immediately that I wanted to work with her. The design, navigation, overall information and historical retrospective on her website went far beyond anything else I had encountered in my search. Upon meeting Maureen I found her to be a true reflection of how she represented herself on-line. Highly professional and energetic, with thoughtful ideas and resources. With a new baby on the way, my husband and I were looking to buy a new home very quickly. Maureen fully dedicated herself to us and made the entire process stress free. Her personal care and attention has extended far beyond the purchase of our new home in Palos Verdes Estates. She has since continued to support us in making sure we're comfortable and settled in our new neighborhood. We dearly love our new home are truly grateful for her hard work. I highly recommend Maureen Megowan for the sale or purchase of your new home. Maureen got the job done -- and in record time! Maureen Megowan handled the sale of our property and we could not be happier. We followed her advice and did some painting, staged the property, and agreed on an attractive sell price to move the property. Maureen created attractive brochures, put pictures and a description of the property on her website and advertised the open house in local papers. She held a brokers open house and a Saturday & Sunday public open house and received several offers. Throughout the process, Maureen kept in contact with us and let us know what was happening at every step along the way. Once an offer was accepted, she was efficient at managing all the paperwork and was very diligent about making sure everything was done properly. The thirty day escrow went by swiftly and without problems thanks to the efficiency of everyone involved. Even though selling property and, in this case settling an estate, is a stressful event, Maureen handled everything to minimize our stress and had everything resolved quicker than we ever imagined possible. A huge thank you to Maureen Megowan. A friend of mine recommended Maureen when I told her that I was interested in buying a home. Being a first time buyer, searching for the perfect home can be a nerve-racking process. But she exudes confidence that will put your mind at ease. We found a condo in Torrance. It was exactly what we were looking for. We never thought that we would be able to afford a home. Maureen's contacts made it possible for us to buy our home with no money down. She walked me through the whole process. Maureen goes above and beyond what a normal real estate agents duties are. She can scope out repairs that need to be done and request that they be done, works with contractors to complete repairs and will oversee until repairs have been done properly. Maureen offered a comprehensive analysis, which helped me determine a price to place an offer on our condo. I can't tell you how helpful that was, especially in todays market. What more could you ask for in a real estate agent? Out side of Maureens bubbly personality and extensive experience and knowledge of color and design, you could not ask for more. There are many real estate agents out in the market today, but only a few know what questions to ask. She knows how to get results. There is no doubt in my mind. I would recommend Maureen to anyone looking to buy a home. We hired Maureen to sell a condo we had purchased as an investment in Rancho Palos Verdes, and she did an excellent job for us. Maureen initially reviewed the market and we established an asking price which we expected would generate interest and activity while still being comparable to other recent sales. She then coordinated a modest refurbishment of the unit, including faux finish wallpaper in the bathrooms and kitchen, painting, and re-carpeting at a cost that was very reasonable. Maureen then did a fantastic job marketing the property, including advertisements, flyers, and open houses, which generated a large amount of broker interest. Maureen has a great personality and dealt with the brokers and potential buyers extremely well. We ended up selling the property for $39,000 over the asking price within one week! We highly recommend Maureen's services! My husband and I were an unusual case for Maureen, since we flip-flopped for more than a year on what kind of house we wanted and what our price range was! She was extremely patient and always helpful, adjusting our searches as needed. I'm sure we would have exasperated most agents, but she was fantastic and always willing to work with us in whatever direction we were leaning. As our needs and financial abilities became more clear, she was helpful in recommending neighborhoods that "fit" us. She knew us so well by that point that she knew where we would best fit; based on the character of the areas we were considering. When it came time to make an offer, she met with us early on the day after Thanksgiving; coffee and pastries in hand. She was always available for questions or discussions, and that was really appreciated because deals and offers don't always adhere to a typical schedule. We found her presentations to the seller's agent to be very professional and appealing, so nice that even he, a very experienced agent, was impressed and commented on them. Maureen worked very hard for us, and she was never less than enthusiastic to do anything we asked of her. I would definitely recommend Maureen to anyone looking to buy or sell a home! Maureen marketed our home in an effective and professional manner, and did an excellent job for us. My wife and I were 25 year owners and after my wife passed away I found it difficult to make decisions regarding our property. However, I felt it was at last the right time to sell. Maureen surveyed the market and established an asking price that was aggressive but yet reflected the realities of a very strong overall real estate market. Even though the market was strong, however, several similar homes in our development had taken quite a while to sell. Maureen evaluated our home and recommended that we "stage" our home for sale by rearranging some of the furniture, purchasing a small amount of additional furniture, pictures and accent pieces, and coordinating necessary painting and repairs. She handled all of the decorating and the work was completed in a weeks time. The property showed like a model home! Maureen's strategy paid off spectacularly, as we sold our home in 5 days at a sales price significantly over our asking price. My wife would have been so proud to see the results. It made selling the home so much easier for our family. I would certainly recommend Maureen to anyone looking to sell their home! Without Maureen on my side, I never would have bought my first condo. The first day she took me out to look at places in my price range, I fell in love with a great condo that came with a lot of hassles. Since it was the very first property we looked at and this was my first home buying experience, Maureen went out of her way to make sure that I was fully aware of what was out on the market. So for the next week, Maureen drove out of her way to Orange County to show me other properties that I might be interested in. Of course, I stuck with my gut and went for the first condo. Maureen was so helpful and has such a keen eye about what needs to be done in order for the deal to be fair. She went out of her way to make sure that I was getting a good deal for my first home and I couldn't be happier. I have every confidence in Maureen for all of my future real estate and design needs. Our experience with Maureen was more than just exceptional from the beginning. She aggressively helped us pursue our dreams of finding our new home. As a first time buyer, we felt her caring and strong support throughout the whole process of buying a home. We really appreciate her support and friendship.